Tokyo Sushi Academy | What we are offering on Saturday? What we are offering on Saturday? 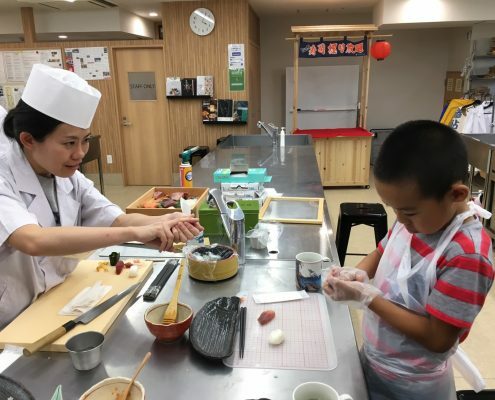 Tokyo Sushi Academy offers 4weeks/8weeks course from Monday to Friday. Only on Saturday, we offer 90min Sushi Making Workshop for Japanese/Tourists. This is not serious training, but for big FUN sushi making. Since summer vacation started, many kids have participated our workshop for summer research assignment of elementary school. Why sushi tastes so good? Why raw fish? What’s history of Sushi? Kids asked us many questions and wrote memo while eating many pieces of Maguro(tuna) sushi. 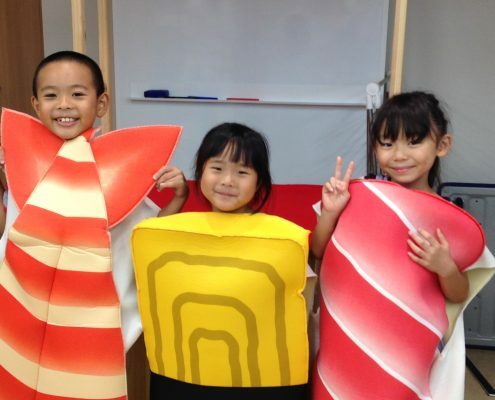 Your sushi making is well-done, good boy, we hope you will have a good score after back to school!